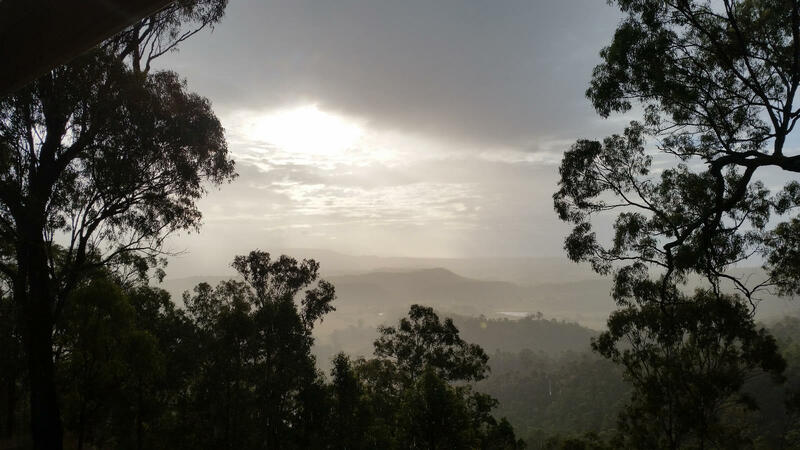 The Weekend of the 4th-5th June brought a rare and dangerous confluence of weather systems to the Eastern Coast of Australia, and for us, heavy rain for the South East corner of Queensland. Especially the Scenic Rim. Rain came on Friday and continued almost without pause until late on Sunday afternoon. We received 220 mm in the 48 hours to 6 am Sunday. This was significant, but outdone by other parts of the Scenic Rim. Upper Springbrook received around 480 mm. Mount Tamborine approximately 380 mm. Significant rain means our ephemeral creeks run and the waterfalls flow. This is always a great to to see our property and enjoy some of the wonderful scenery, structures, plants and animals that occupy this space with us. We had also moved a significant amount of rocks into the creek bed to help minimise the erosion. Most were small to med. rocks place in the most vulnerable bits of the South Gully creek. 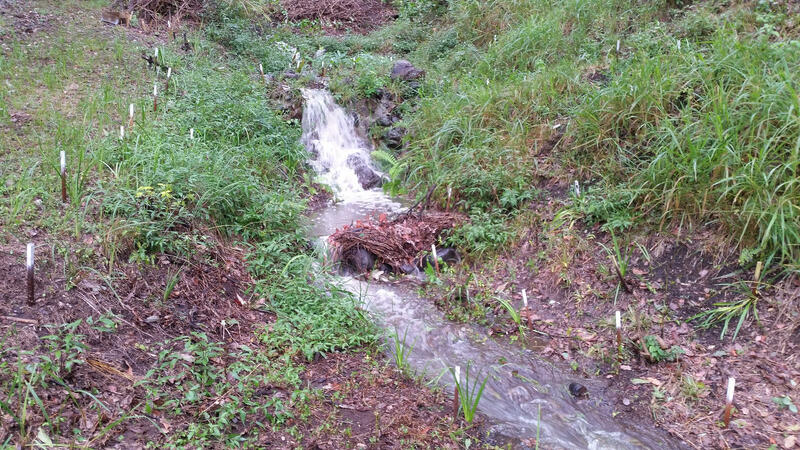 This worked very well in protecting the creek bed from the massive flows that 200+ mm of rain brings. 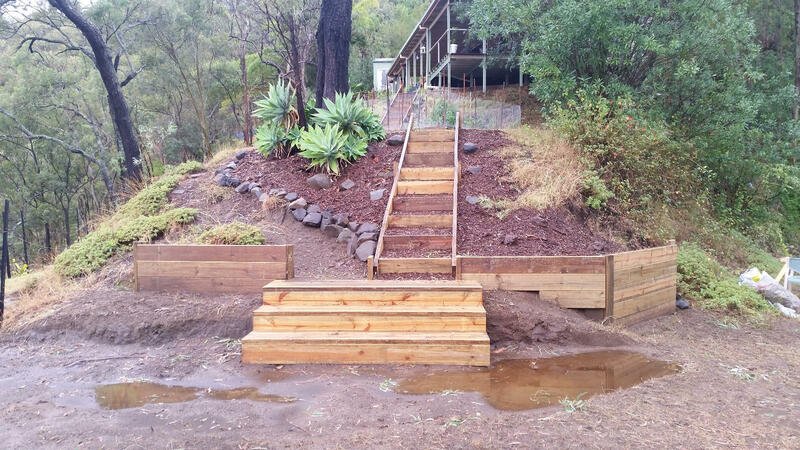 It also appears that our latest construction – the Bottom Steps – also survived the deluge. This was important as the area that is now the steps and the Ironbark Garden suffered from significant erosion and loss of top soil and was the main outflow point for rain falling on the house hill. The construction and the garden survived with no ‘damage’ whatsoever. We were pretty happy about that. 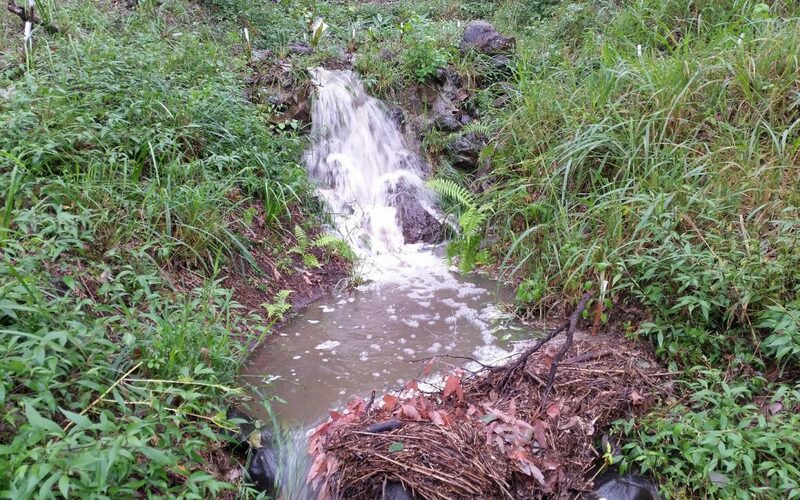 So we survived the deluge without any significant damage to our house or the property, and we got our tanks filled to overflowing, and everything got a good long drink after 3 months of rainfall significantly below the average. Most of our work in the South Gully worked well and erosion was minimal. 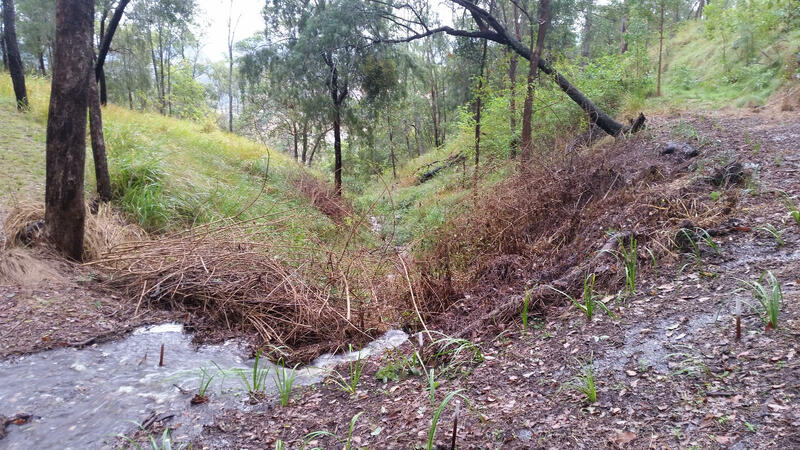 The flow of the creek has also outlined further work we have to do to repair and support the creek and riparian areas. This storm system was the largest rainfall total we had had in 24 hrs, since moving here. But we have since learnt that records can be broken and the climate is getting more unpredictable. In March 2017 we received almost 700mm of rain in one day, including a downpour of 400mm in one hour. The damage caused by this ex-cyclone makes the rain we received in June 2016 look mild.